I’ll start by putting my cards on the table: I’m 30 years old, and I’ve been suffering from depression on and off for most of my adult life. Throughout my 20s, my symptoms got steadily worse — lack of motivation; tiredness and an inability to concentrate; and most upsetting, a spiral of negative thoughts that left me constantly feeling worthless and alienated from my friends and family. That all changed a year and a half ago when I started taking antidepressants. Against the balance of probability, they proved effective right away. It’s strange, but I’m now in a bittersweet position — depression-free but unsure as to whether I’ll be dependent on medication for the foreseeable future. In light of this, I have a very personal interest in any treatment that promises to lift depression not through continued daily usage, but after just a handful of doses — which is exactly what outcomes of a recent study looking to improve otherwise treatment-resistant major depression suggest. The twist, of course, is that the drug used for treatment was magic mushrooms — or more specifically, the naturally occurring active ingredient in them called psilocybin. A serotonin receptor agonist, psilocybin has already been assessed for its therapeutic potential in other medical trials focused on end-of-life anxiety, obsessive-compulsive disorder, and alcohol dependence — with promising results. Human imaging studies with psilocybin show changes in brain activity that normalize hyperactivity in the medial prefrontal cortex, while data from a large-scale population study suggests that psychedelics don’t cause brain damage or negatively affect long-term mental health. This most recent clinical trial, run by scientists from Imperial College London, saw a reduction in depression in all 12 participants the first week, following two supervised “trips” dosed a week apart at 10 milligrams and 25 milligrams, respectively. Three months later, the majority reported the same. Otherwise, there’s been little other new data collected about the use of psychedelics in medicine since the 1950s and 60s, before they were criminalized. When I was in London, I attended some events organized by the Psychedelic Society, a group championing the safe use of psychedelics and campaigning for their legal regulation. The society’s latest project involves a hands-on approach to advocacy for the drugs: a series of “experience weekends” in which participants take psychedelic trips as a group, by eating psilocybin-containing truffles. In a Skype call, founder and director of the Psychedelic Society Stephen Reid, told me more: “The psychedelic experience weekends started this year. We had the first one at the end of February, and then the second one in the middle of May. We take groups of people from the U.K. to the Netherlands for an experience with psilocybin truffles, which are legal there, and the idea is that the weekends should be safe, legal, and affordable for those who want to take part.” The cost for the weekend is £300, or around US$410. Here’s how it works: Participants meet in London on a Friday morning before taking a train to Amsterdam. From there they travel to a smaller and more secluded location outside the city, where they arrive, relax for a while, and then cook dinner as a group. This is followed by an opening circle where members of the group can discuss how they’re feeling — it’s “often a little nervous, understandably,” said Reid — and then head to bed for an early night. Saturday morning starts with yoga, meditation, and another group circle to center attention before the truffles get eaten. The effects of the psychedelic “trip” last from around 11 a.m. to 6 p.m., when members of the group return back to regular consciousness. After dinner, everyone discusses their experience, which Reid says are often profound. “We describe the weekends as ‘conducive to mystical or spiritual experience,’ which does seem to be what people seem to take from it.” According to Reid, “the mystical experience” is well studied in psychotherapeutic literature, and has “these sixfold criteria: a sense of unity; a sense of sacredness; a sense of the uncovering of some kind of objective truth about reality; positivity and a sense of bliss; a sense of the transcendence of time and space; and finally, ineffability — the sense that people are unable to adequately describe these experiences in words.” It’s been said that tripping makes you feel one with the universe. “People are having experiences of this kind of nature at our weekends,” he told me. Though a Schedule I designation doesn’t exclude the possibility of research, it makes it very difficult. It’s hard to obtain funding from any major body, and the small number of studies that are funded must jump through lots of procedural hoops to comply with government regulation. So how, exactly, did we end up in a situation where some of the most promising drugs for assisting psychotherapeutic treatment are also the most severely criminalized? Understanding this means looking back at the historical context of their discovery and subsequent journey from medical research drugs to countercultural catalyst. In 1963, the Sandoz patents on LSD expired, meaning that the substance could be produced as a generic. This more or less coincided with the introduction of LSD to the hippie counterculture when, championed by iconic figures like Timothy Leary, Allen Ginsberg, and the Merry Pranksters, the consciousness-expanding properties of the drug played a key role in the development of the 1960s counterculture: a set of beliefs, values, and behaviors that arose in direct opposition to the mainstream ethos of the time. Some of this thinking was exemplified by Leary’s turn on, tune in, drop out philosophy, which advocated the rejection of authority and conventional social structures in favor of a more autonomous, nonconformist, spiritually awakened lifestyle; and it was the alleged ability of LSD to provoke these anti-authoritarian, anti-capitalist tendencies in its users that the U.S. government considered most threatening. In 1968, just five years after the mass production of LSD began in earnest, Lydon Johnson passed a bill making the manufacture and sale of the drug a felony, and imposed a misdemeanor charge for possession punishable by up to a year in prison and a $1,000 fine. Two years later, Richard Nixon signed into law the Controlled Substances Act of 1970, creating the five schedules used in drug classification today — and placing psychedelics firmly into Schedule I, in spite of their low toxicity, nonaddictive nature, and 25 years of testing on subjects who ranged from those in elite military units to suburban housewives. Today, we know beyond a shadow of a doubt that commercial opioid drugs are addictive, not to mention the often devastating and lethal effects of legal recreational drugs like alcohol and tobacco, the latter of which has no medical benefit whatsoever. For some reason, both at the governmental level and as a society, we seem to find it far easier to accept substances that cause cancer, addiction, and significant risk of violence than we do those that provoke a genuine change in consciousness. This is not to say that psychedelics are risk-free. There is a broad consensus that in some circumstances they can exacerbate underlying mental health problems — particularly anything of a psychotic nature, which include conditions characterized by a disassociation or loss of touch with reality. Due to the lack of research we’ve conducted since the 1960s, it’s hard to estimate the exact proportion of people at risk, but if the lifetime risk of schizophrenia is about one percent in the general population, this is not insignificant. However, it’s fair to point out that there are already many drugs on the market with rare but severe side effects. The most important thing is to be able to make an evidence-based judgement on whether the benefits outweigh the risks. If psychedelics do have potential as a treatment for depression, we can’t afford to ignore it. According to the WHO, roughly 350 million people around the world now suffer from depression, making it the leading cause of disability worldwide. In the United States and Canada, depression accounts for nearly 10 percent of medical disability, with levels of diagnosed depression higher than at any time in the past, and still rising. Along with various other chronic health conditions, it’s been called a “disease of modernity” — an illness caused, through mechanisms we don’t fully understand, by the enormous difference between the environmental setting in which homo sapiens evolved as a species and the lifestyles we lead today. Given the variety of symptoms involved in depression, and the fact that each depression sufferer experiences it differently, there is an inherent appeal to treatments that recognize the need for holistic approaches to mental health and the importance of supporting individuals as they take an active role in their recoveries. Psychedelics are unique in that they sit at an intersection between the medical and therapeutic approach — as psychotropic substances, in the right context, seem able to propel users rapidly into a state of of self-discovery. For this reason, current research into psychedelics spans cases which are not just medical but existential: A New York University study is trialling the use of psilocybin to ease the anxiety of a cancer diagnosis, while a team in Switzerland gave LSD to patients with terminal illnesses to help them deal with the fear of death. To understand more about the clinical research process, I set up a call with psychiatrist James Rucker, one of the co-authors of the Imperial College London study. Rucker was the treating physician who prescribed and administered psilocybin to the May trial’s 12 participants. After discussing expectations with them, in two sessions spaced a week apart he escorted patients into a room decked out to look warm and inviting, administered the psilocybin, and encouraged them to lie back and see what the experience brought up. The experience was entirely non-directed, with Rucker and other psychiatrists on hand to offer support only, as and when needed. Afterward, participants took part in follow-up sessions in which they tried to analyze what they’d experienced. Often, while finding it profound and deeply personal, it was hard for them to convey in words exactly what had taken place. These abstract, “indescribable” experiences seemed to produce measurable results: All participants saw an improvement in their depression in the first week following treatments, with a majority still reporting the same after three months — a hugely impressive success rate considering that only two doses were required. Of course, the extremely small study size means it’s too early to generalize results to the wider population, but the research team is very optimistic. It may have taken decades of work, but the legalization of psychedelics is becoming increasingly acceptable socially. Just as it was many years before, California finds itself at the epicenter of the movement. But whereas once it was driven by hippie gatherings along the Haight-Ashbury strip, its advocates are now more likely to have nine-to-five jobs and work in modern offices. One thing responsible for the interest in restoring psychedelics to legitimacy is Silicon Valley’s discovery of microdosing — the regular consumption of small quantities of LSD — as a way to enhance productivity and creativity. But another more substantive factor is the dedicated work of MAPS, the Multidisciplinary Association for Psychedelic Studies, based out of Santa Cruz. Founded in 1986 as a direct response to the criminalization of MDMA in the United States, MAPS promotes its use — along with cannabis and psychedelics — in psychotherapy. The organization is currently conducting clinical trials needed for the FDA to approve the use of MDMA (or ecstasy), combined with psychotherapy, for the treatment of post-traumatic stress disorder. The research is at phase two of three clinical processes, with results so far suggesting positive benefit for the reduction of PTSD symptoms with no harmful side effects. Unsurprisingly, finding funding for the study has proved challenging—partly because MDMA is also a Schedule I drug, and partly because it doesn’t fit well with the pharmaceutical industry’s economic model, MAPS Director of Communications Brad Burge told me. Beyond marketing the drug, the organization also has a longer-term vision based more around the process than the product. 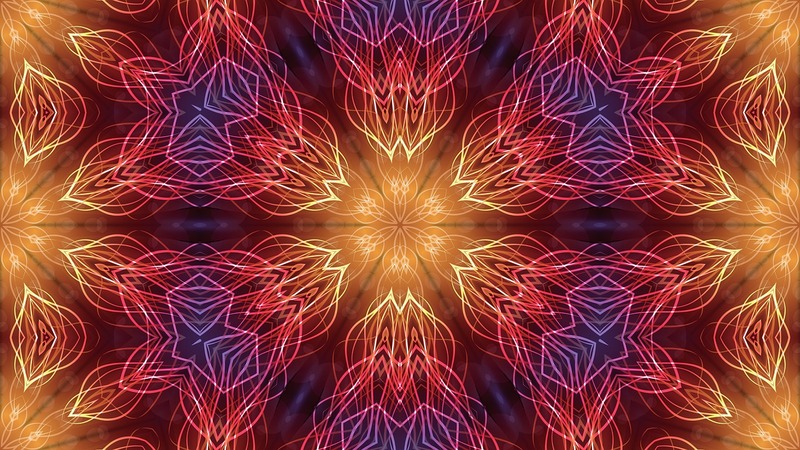 “In terms of cultural rollout of the treatment, we’re hoping to launch an international network of psychedelic therapy centers where people can come, either at a doctor’s recommendation or on their own covered by insurance or national medical programs, and receive psychedelic therapy in an in-patient setting in these clinics,” said Burge. That MAPS has reached this stage of research is the product of many years of negotiations with the FDA, effectively an ongoing process since the organization was first founded. But the fact that it has come this far points to a future where psychedelics are used, first in a controlled therapeutic setting, and later as take-home prescriptions and even one day as an over-the-counter medications. If and when that happens, we could see an economy form around psychedelics much like the medical marijuana industry, generating income and employment while also providing better quality control for users — which, if it may still seem distant in the United Kingdom or United States, is already the status quo for truffles in the Netherlands. As someone who has suffered from depression, having talked to these experts leaves me with the feeling that the current legal situation around psychedelics means I’m being denied a possible avenue of treatment. Though I’ve used psychedelics in the past, it’s been more or less as a way to see pretty lights at music festivals, not as a tool of higher exploration and self-discovery. Would I be less depressed if I were more in touch with myself and believed in God — or just did acid more often? Much as it’s a cliché, there seem to be no easy answers. But I’m absolutely convinced of the need to support efforts for a reclassification of psychedelics, so that people smarter than I am can find them.